Flow Cytometry: 1/100 - 1/250; The maximum amount of reagent required to stain 1 x 10e6 cells in flow cytometry is approximately 1.0 µg of antibody conjugate. Lesser amounts of reagent may be sufficient for staining. Optimal titers for other applications should be determined by the researcher. 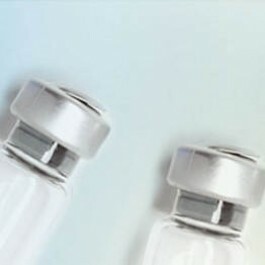 As a general guideline dilutions of 1/100 to 1/250 should be suitable for most applications. 0.02 M Potassium Phosphate, 0.15 M Sodium Chloride, pH 7.2, containing 10 mg/ml BSA (IgG and Protease free) as stabilizer and 0.01 % (w/v) Sodium Azide as preservative. This product was prepared from monospecific antiserum by immunoaffinity chromatography using Mouse IgG coupled to agarose beads followed by solid phase adsorption(s) to remove any unwanted reactivities, pepsin digestion and chromatographic separation. Coupling to R-PE was followed by size exclusion chromatography to purify conjugate from unreacted R-PE and antibody. Assay by immunoelectrophoresis resulted in a single precipitin arc against anti-Phycoerythrin, anti-Rabbit Serum, Mouse IgG and Mouse Serum. No reaction was observed against anti-Pepsin, anti-Rabbit IgG F(c) or Human Serum Proteins.